Running Man began to air in mid 2010 and till now the popular variety program is still running. On top of that, this program is very popular overseas too. What make it interesting and fun for Running Man? First of all, it is the creative and interesting games. Secondly, even if the games were repetitive, they were able to improvise and think of different ways to play the game. Remember the times when the Running Man cast was trapped in a departmental store completing missions and tearing nametags? They basically filmed the program at night and they will return home the following day. Those were the time when they were given punishment such as walking on the streets with ‘hot pants’ or greeting the employees early in the morning when they came to work. 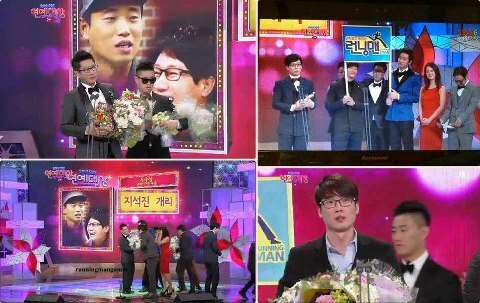 Nowadays, Running Man has moved to outdoor activities and the cast were given gold or rewards should they win the game. Subsequently, there was a change in the cast after the exit of Lizzy and Song Joong Ki. The Running Man team found a replacement in Song Ji Hyo and from then on, she became part of the Running Man cast. Recently, the program does not focus on Yoo Jae Suk, Kim Jong Kook or even the guests as much as previous times. I am glad that all the cast were given screen time to shine and play their characters. Gone are the days that the Running Man obviously gave in to the guests during games. If you put this buddies together, there is a higher chance of winning the games. However, they tend to bickers around with each other and were often noisy together. Despite that, these two leaders have absolute chemistry and the MC ability to put the guests at ease. With lots of screen time, who doesn't want to partner with them? Monday couple was established much earlier at the beginning of running man. This adorable pair has lots of chemistry. In the beginning, Gary used to give in to Song Ji Hyo and let her win in games. Nowadays, they were pretty much doing fine on their own without emphasizing this name too often. Be assured that the games will be more competitive when you put the two competitive and capable Running Man together. They can cooperate and work together so well in games which normally ensure a win for their team. When you pair these three up, ensure a hilarious and comical antics from them. They were definitely good in playing their roles. 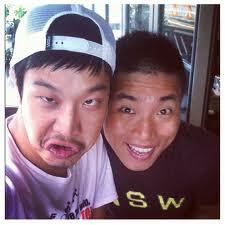 Haha - the ultimate spy, KwangSoo - the ultimate betrayer and Ji Suk Jin - the betrayer. We need a strong and weak player to team up sometimes to make the program more interesting. Indeed, Big nose hyung Ji Suk Jin is considered weak when compared with the rest of the cast, however, he is still a good team player and he is good at spotting things. As the eldest of the Running Man, sometimes he take things easy and allow other people to shine at his expense. Nonetheless, he did play a great part in the variety show and he proved that he can flim Running Man despite his age. This pair has a love-hate relationship. 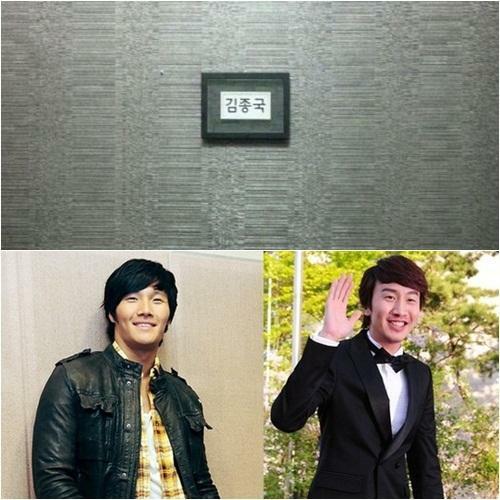 Initially, KwangSoo was often 'bullied' verbally by Kim Jong Kook. Nowadays, the Girrafe often disturb/provoke the tiger as an act of 'revenge'. Given a chance, he would always want to eliminate Kim Jong Kook. Despite the often bickering and fighting, they have a great relationship in real life. Kim Jong Kook revealed that he often meet up with Kwang Soo. It was reported during interviews that they were good friends and KwangSoo love his hyung. They were like siblings teasing and making fun of each other whenever they were game partners. Yoo Jae Suk is always good in taking care of the people around him. Therefore, he is always the caring big brother whenever he was paired up with Ji Hyo. On the other hand, Ji Hyo is the mischievous little sister. During the early part of the show, Ji Suk Jin always says that he is Yoo Jae Suk sunflower. The two brothers know each other for a long time and they were both MC in their respective programme before they work together in Running Man. Both of them have the most experience among the Running Man cast in terms of hosting a variety show. It is funny how Ji Suk Jin was jealous of Kim Jong Kook when he heard that the both of them work out in the gym often. This was one of the highlight in the early episodes of Running Man. Kim Jong Kook taking control over the two kids. Most of the time during nametag tearing games, they will be grouped together as catchers. Those were the days when they had so much fun chasing Yoo Jae Suk mission team. We as viewers of the show were highly entertained by them. "Feel, touch, cross!" This is their favourite phrase whenever they are paired up. I love easy brothers and their funny antics. Most of the time, they will not win any games whenever they are paired up. Nonetheless, they are so funny together which is the most essential element needed in a variety programme. Song Ji Hyo and Haha were around the same age, therefore, i think they can be more playful around each other. They were often bickering and making fun of each other during the show which i think is very interesting and fun. This brothers are so cute and funny to begin with. With them around, the atmosphere is bound to be lively and cheerful. They were able to dance well and have a great sense of humor.